Robin Thicke New Years Eve! 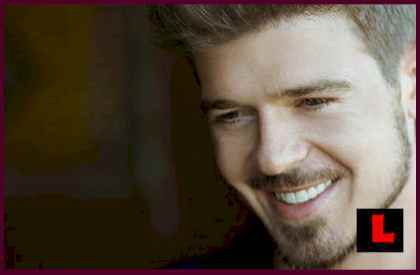 LALATE & YEARSEVE.COM presents to you Robin Thicke New Years Eve AREA Los Angeles 2008! Robin Thicke headlines a spectacular event this New Years Eve in Los Angeles that LALATE is proud to present to you. We invite you to ring in 2009 at AREA with a special appearance and countdown by Interscope’s multi-platinum selling superstar, ROBIN THICKE! AREA is a sophisticated gathering spot for a “who’s who” of Hollywood with a dance floor for the masses surrounded by intimate VIP seating. As every table at AREA is VIP, all of our guests are treated as royalty, promising a great night to be had by all! With ROBIN THICKE as our host for the evening, New Years Eve 2009 will be an experience one will never forget! AREA Nightclub is one of the most desired venues in Los Angeles, especially on New Years Eve, as we are known for providing exceptional service for our VIP bottle service clients. With over 30 tables covering the dance floor, 2 smoking patios, and private VIP Backroom, there will not be a bad seat in the house! We look forward to ringing in 2009 with you and yours! For other incredible celebrity New Years Eve parties across the U.S. this year, visit YearsEve.com.